Disclosure: Penguin Kids sent me these books in exchange for an honest review. All opinions are my own. 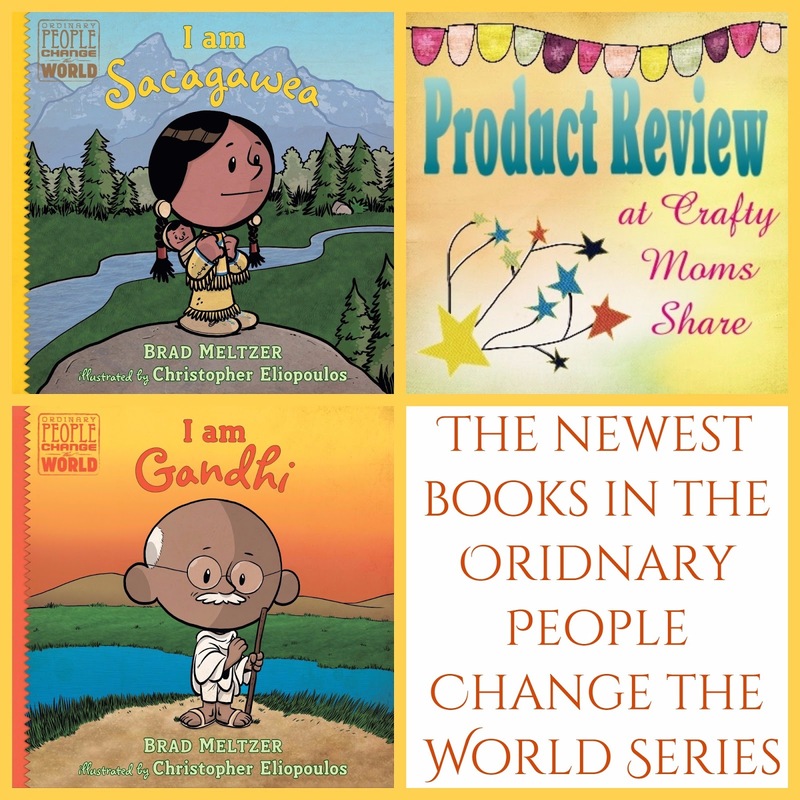 Today I get to share with you the latest two books in the Ordinary People Change the World series by Brad Meltzer and illustrated by Christopher Eliopoulos. I am sharing these books as part of the blog tour! The first one we will talk about is I Am Sacagawea. 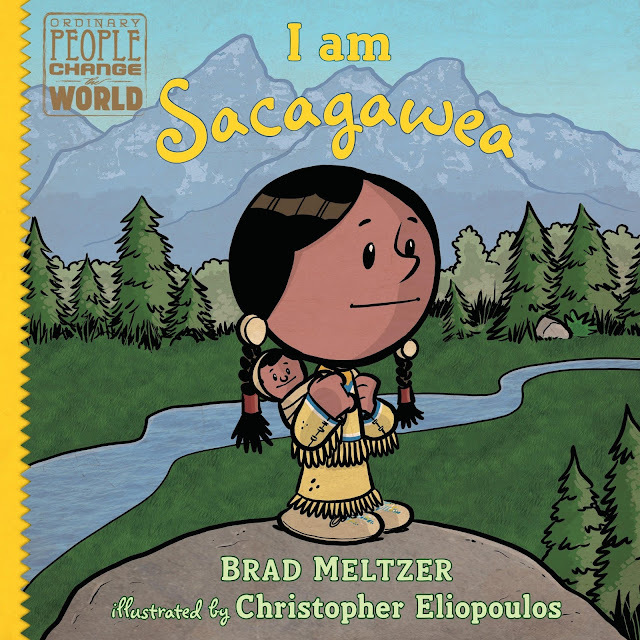 I AM SACAGAWEA Sacagawea, the only Native American included in Lewis and Clark's historic expedition, joins the inspiring list of heroes whose stories are told in this New York Times Bestselling biography series. Sacagawea was the only girl, and the only Native American, to join Lewis and Clark's Corps of Discovery, which explored the United States from the Mississippi River all the way to the Pacific Ocean in the early 1800s. As a translator, she helped the team communicate with members of the Shoshone tribe across the continent, carrying her child on her back the whole way. By the time the expedition arrived at the west coast, Sacagawea had proved that she truly was a trailblazer. This friendly, fun biography series focuses on the traits that made our heroes great--the traits that kids can aspire to in order to live heroically themselves. Each book tells the story of one of America's icons in a lively, conversational way that works well for the youngest nonfiction readers and that always includes the hero's childhood influences. At the back are an excellent timeline and photos. Now Hazel loves this series and loves this book as well. She told me it is one of her favorites as well. This book takes a historical figure that many do not know too much about and shows what a strong and amazing young woman she was. She was the only female on the expedition team. She was the only Native American on the expedition team. She was the only teenager and mother on the expedition team. And somehow she managed to prove invaluable to the team. Yet she lived in a time when women had very little say. She did not get credit at the time and in fact did not get paid--her husband did. This is a must read book for all kids!! I hope you will check it out! The other new book in the series is I Am Gandhi. Gandhi was a role model for so many including Dr. Martin Luther King Jr. and other civil rights leaders. 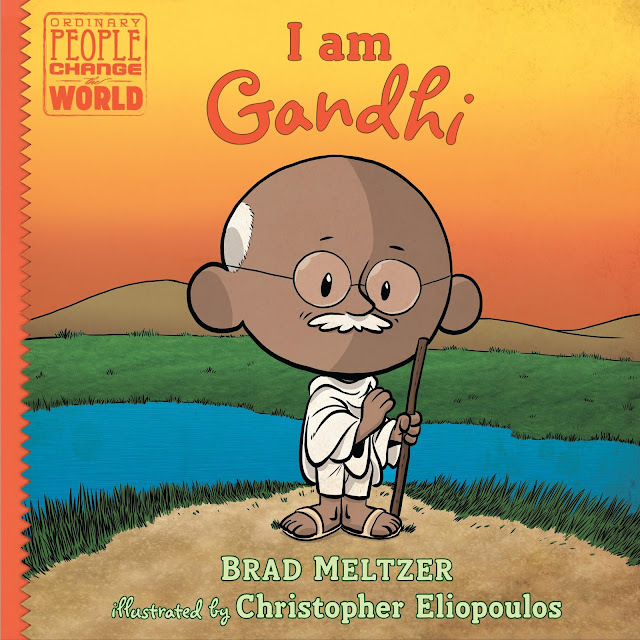 I AM GANDHI Gandhi's peaceful revolution is the focus of the thirteenth picture book in this New York Times bestselling biography series about heroes. This friendly, fun biography series focuses on the traits that made our heroes great--the traits that kids can aspire to in order to live heroically themselves. Each book tells the story of one of America's icons in a lively, conversational way that works well for the youngest nonfiction readers and that always includes the hero's childhood influences. At the back are an excellent timeline and photos. This book tells the story of how Gandhi used the principles of nonviolence and noncooperation to fight discrimination against Indians in South Africa and to end British rule in India. Like the series's biography of Martin Luther King, Jr., Gandhi's story focuses on his peaceful heroism in the struggle for civil rights and social change. This is another amazing book. Even having read other books about Gandhi, I learned more about him than I have seen before. This is perhaps one of the things that Hazel loves most about the series. She loves reading about the people and learning something that is not well known. As with all the books there are interesting facts, a look at the strength of the person, quotes from the person and more! Why is Gandhi so looked up to? This book puts it all in a way that kids can understand and learn from. It is an amazing book about an amazing person! Things we love about the series are the interesting facts about the people that are not well known, the way that some of the story is told in a graphic novel type with cartoon bubbles and there is always a theme running through the book that shows the person's strength. These two books are wonderful additions to the series. In fact they are among the best of the series, so I hope you will check it out! I have to share that Hazel often will bring up these books and people she hopes will be picked for the next one. She has many ideas in case Brad needs them. 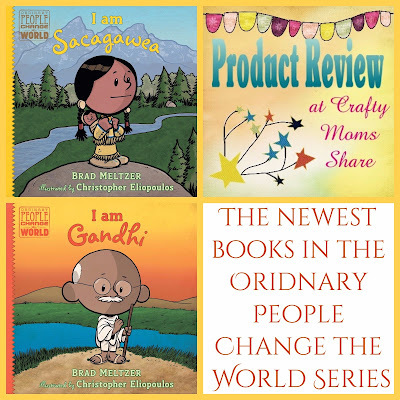 For our reviews of the other Ordinary People Change the World series: Albert Einstein, Jim Henson, George Washington, Jane Goodall, Abraham Lincoln, Lucille Ball, Martin Luther King, Jr., Helen Keller, Rosa Parks, Amelia Earhart, and Jackie Robinson.